Your hair is an investment. Aveda Salons are founded on the common mission of caring for you and caring for our world around us. Our team is trained to serve your every need and expertly care for you. During your time with us, you’ll enjoy Aveda Rituals that will relax and transport you, such as: a cup of Aveda Comforting Tea℠; a stress-relieving scalp, neck and shoulders massage; a luxurious hand massage! Aveda salon professionals are continually educated on the latest trends and techniques to transform your look with styles inspired by the fashion runways from around the world. Aveda professionals understand how to listen to your needs and provide you with a thorough consultation so you can be comfortable and confident during your salon experience. 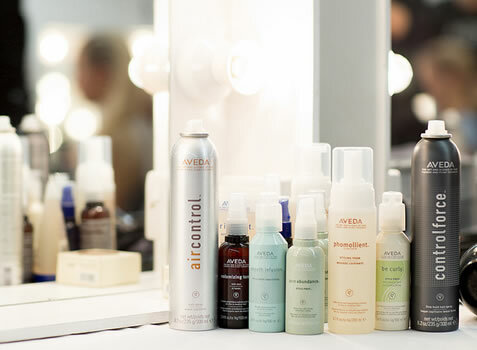 Our full line of Aveda products allows you to re-create your salon experience or look at home. Made with organic and natural pure flower and plant ingredients, our products are proven to have powerful results, all while protecting and preserving our environment. At Aveda, we believe that Beauty is as Beauty Does℠ and live that mission every day through our use of 100% post-consumer recycled material in our packaging, 100% wind-generated power in our manufacturing and by donating over $18 million dollars since 1999 to help clean and protect the environment. What's in your hair color? 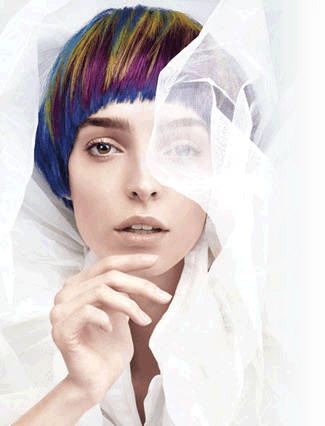 Aveda full spectrum™ hair color is up to 99% naturally derived* using plant power instead of petrochemicals for amazing color that you can feel good about. Created at Aveda's botanical laboratory on the 58-acre Certified Wildlife Habitat™ in Blaine, Minnesota. With conditioning certified organic botanical oils - sunflower, castor and jojoba - instead of petrochemicals, to support organic farming which follows strict standards of agriculture that are better for the Earth. Aveda's purchase of organic babassu oil, which is in full spectrum permanent hair color, processed from nuts gathered by the women of Maranhao in Brazil helps them to support their families, strengthening local communities. It also helps protect the intricate ecosystems of the rainforest as part of the first against climate change. Full spectrum hair color cartons are made from 100% recycled fiber, including 77% post-consumer recycled, Forest Stewardship Council™-certified fiber. 2.8 ounce tube caps are made of 100% recycled material – including, where possible, plastic sourced through the national cap collection program that Aveda founded. This program has kept over a half million pounds of caps out of landfills so far. Formulated without nitro dyes, parabens and animal-derived ingredients. Non-drying with gentle, sustainable water as our solvent instead of alcohol.